As reported in the LA Times and elsewhere, the National Highway Traffic Safety Administration is recommending that new regulations be adopted to require all new US vehicles to include backup cameras by 2014. The NHTSA estimates that about 300 people are killed and 18,000 injured each year due to backup crashes. The vast majority of those killed are children, who are particularly difficult to see when backing up a vehicle, and older adults. While these numbers aren't huge compared to overall pedestrian fatalities in the US, they certainly aren't insignificant. Since we have the technology available to (hopefully) prevent these deaths and injuries, I think it's great that the federal government would like to require it in all vehicles. I have to back down a loooonnngg driveway every time I leave my house, passing by a home where two young children live along the way. Even though I slow down and double check to make sure they aren't around when I pass by, it still makes me nervous every time. 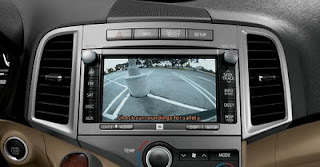 I'd love to have one of these cameras in my car, and I'm glad to know that the next vehicle I purchase likely will. This is great news. Thanks to GM, I have had the opportunity to actually use these rear view mirrors, and they are really fantastic. It makes backing up so much safer. The first time I used one, I tested it while parallel parking. It was dead on. I think these are going to be especially great for people like me, who are too short to enjoy the kind of visibility that the average person does. I always feel like I have double the blind spots because of my height (or lack thereof), so I'm really looking forward to having one in my car.